Chester have signed Alfreton Town midfielder Tom Shaw on a two-year deal. The 28-year-old scored 17 goals in 84 appearances for Alfreton, who were relegated from the Conference this season, after arriving in July 2013. 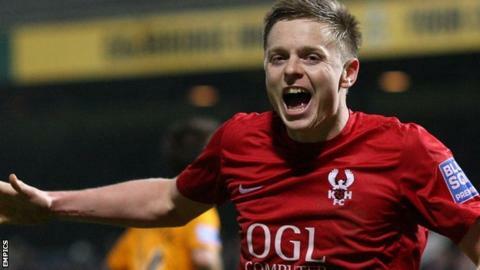 The former Kidderminster Harriers player spent two years with Cambridge United, playing 81 times for the U's. Shaw has played under Chester manager Steve Burr before, when the pair were at Kidderminster, for whom Shaw scored six goals in 42 appearances.